now it’s time to correct it! At Robinson Facial Plastic Surgery, our Visage Skin Care Center offers a wide range of laser treatments designed to revitalize the skin at various levels. These simple, in-office options bring efficient solutions for targeting sun damage and helping reverse some of its effects. Most treatments require very minimal downtime, require no incisions or anesthesia, and produce noticeable results within a brief timeframe. The fall season presents an excellent opportunity to try laser action to help correct the damaging effects summer has on your skin. So, if you’re concerned about the lingering marks those sun kisses may leave upon your face and noticing brown spots with fine lines or wrinkles, come in out of the glare. We can help correct the damage with our advanced laser technologies to improve the appearance of your skin. We are committed to educating every patient how to obtain the best results for their skin type. 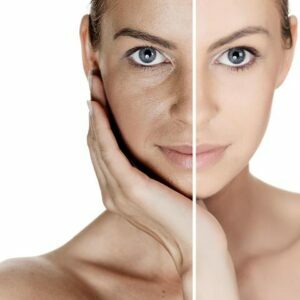 We will develop a customized treatment plan to help you achieve more youthful, vibrant, healthy-looking skin. Contact us today at 770-667-3090 to schedule your appointment.